My official last week of marathon training was 1/1/12 to 1/7/12. There was very little running as it was the week of the marathon. On New Year’s Day I did run 10 miles. It was not part of my training plan. I did it for myself. I needed it both physically and mentally. On Monday, 1/2/12 I went to the gym and enjoyed a rather leisurely hour on the Arc Trainer. Tuesday, 1/3/12 was a day of last minute preparations before our flight on Wednesday morning. I managed to book a very last minute hair appointment when my stylist cancelled. I had my hair colored and cut, did some shopping, got a pedicure and finally settled down to pack around 9pm! My day was so busy that kept trying to ignore the fact that I didn’t feel great. My head throbbed all day long and I could feel my throat getting scratchier and scratchier. I was popping Vitamin C and drinking Airborne fizzy tabs as often as possible. I took multiple doses of Motrin with little effect on the headache. By the time I went to bed around 11:30 I had been up for over 24 hours, I felt like crap and I had to get up in about 4 hours. Needless to say I did not do any exercise. Wednesday, 1/4/12 arrived far too quickly, but despite the early alarm we are all very excited about the trip. I felt even worse upon waking, but I was determined to fight this head cold with everything I had. I left the house with a big mug of Airborne. I had a bag full of remedies. Game on sickness! If you consider that other than the rib injury back in September I haven’t called out sick since April of 2007 then you will understand how rare it is for me to be grounded by illness (knocking on wood right now). Our flight was uneventful. We met our friends at the airport and all drove to their timeshare together. 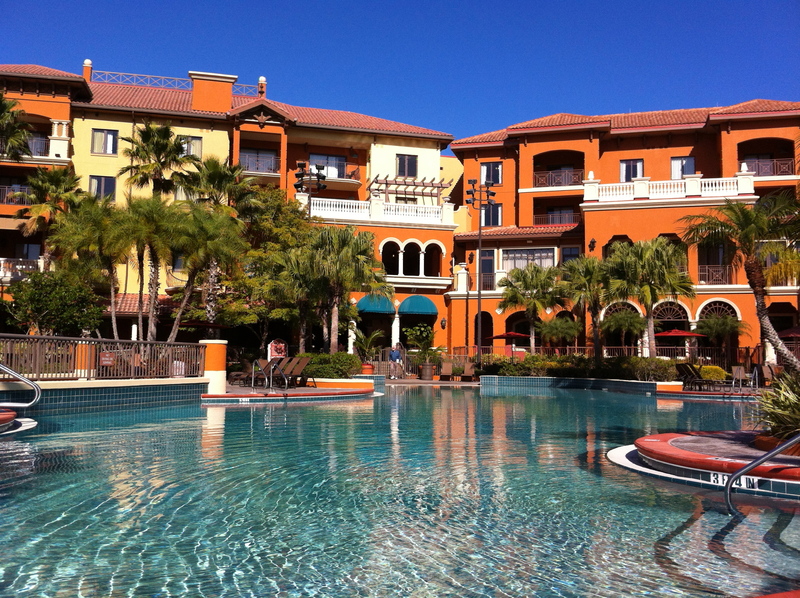 My dearest friend from nursing school and her husband graciously invited us to spend our time in Orlando at their unbelievably gorgeous timeshare. By the time we checked in, got unpacked, had lunch, did a little grocery shopping and explored the resort it was nearing 8pm. I had almost no voice and I felt horrible. I tried to stay up a little longer but I ended up falling asleep before Carlos. Once again I did no running or any exercise to speak of. 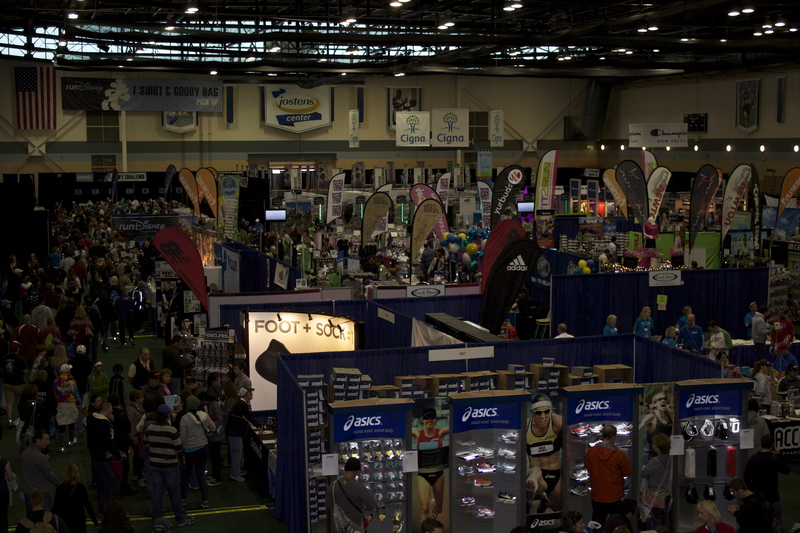 On Thursday, 1/5/12, I went to Disney’s Health and Fitness Expo at the ESPN Wide World of Sports Complex. My friend was registered to run the 5K and her husband was running the half marathon. It was the biggest expo I’ve ever been to and being around so many runners, picking up my race bib and seeing Jeff Galloway was just about enough to make me giddy with excitement. I’m a bit of a dork like that. I had a huge smile on my face (much bigger than the one in the photo below!) the entire time. I was just soaking it all up. 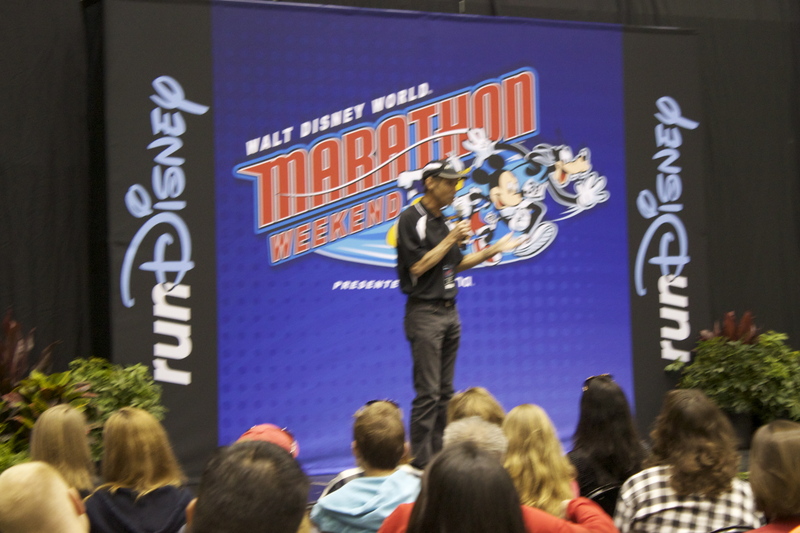 Jeff Galloway is synonymous with the Disney Marathon and serves as a Run Disney Training Consultant. He is well known for his walk/run programs. I don’t personally utilize any of his programs but I don’t hesitate to recommend them to people who don’t feel like they can maintain a running pace for an entire race. Meanwhile there was a lot of this going on back at the hotel. The temperature in Orlando our first two days was a bit cool. Fortunately the swimming pools were heated. Carlos and Orlando love swimming together so they enjoyed the morning in the pool. 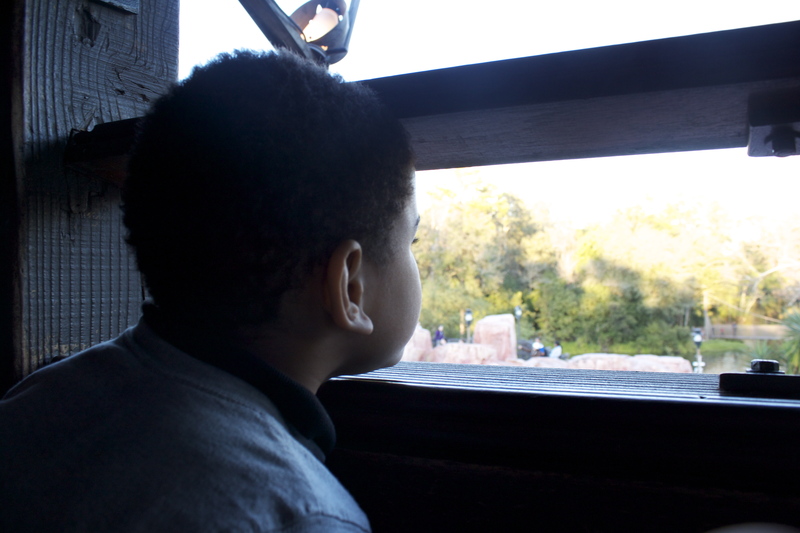 My little guy was so anxious to get to the Magic Kingdom, but he behaved with the patience of a saint. I had completely lost my voice at this point, but I was somewhat reassured by the fact that it was the only remaining symptom. The headache had passed and I never developed any chest congestion or a cough. I was hopeful that by race day I would be feeling fine. I decided that since we had a long afternoon and evening of Disney World ahead of us I would consider all the walking I would be doing my workout for the day. We had no set plan. We just let Carlos decide what he wanted to do more or less. 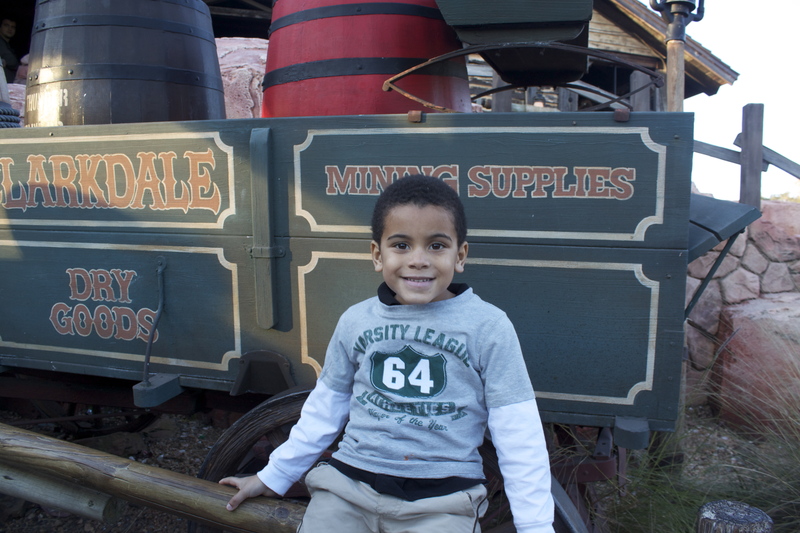 We saw two parades, a show, rode Thunder Mountain, the Haunted Mansion, the Tea Cups, the Jungle Cruise, Race Cars and a few other rides I am forgetting. Carlos’ favorite hands down was Thunder Mountain. The weather was gorgeous, sunny and cool. Carlos was in awe of everything we saw. The park was sufficiently crowded to draw long lines, but that didn’t matter. My husband and I aren’t exactly what you call Disney people, but seeing it through the eyes of a child makes it a truly magical experience. We enjoyed a delicious dinner at Tony’s Restaurant on Main Street in the Magic Kingdom. It was late and we were starving. We watched the fireworks from the restaurant and finally returned to the hotel on one of the last shuttles of the night. By the time we got to the hotel it was past 10pm. I had a 4am wake up call so I could accompany my friends to the 5K. 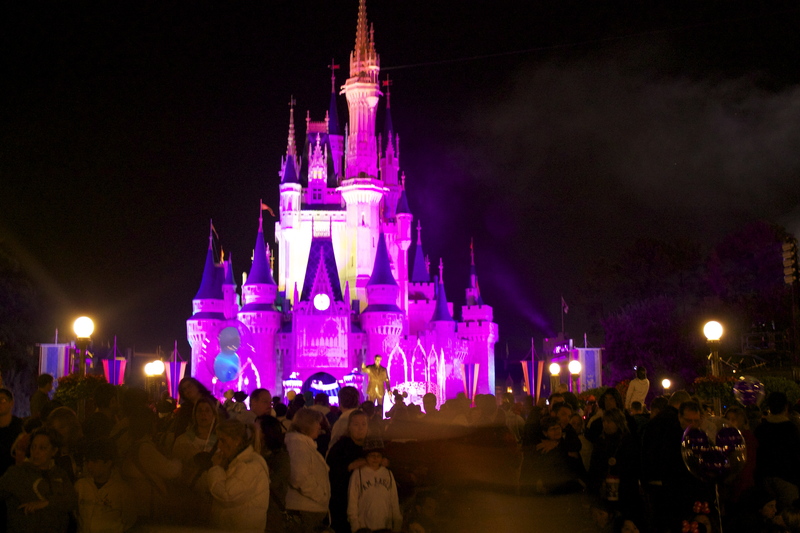 The Run Disney races began on Friday, January 6, 2012 with the 5K. I was excited about attending both the 5K and the half marathon. It’s awesome running a race, but it is a wonderful feeling cheering on other runners. I love seeing the determination and joy on the faces that speed by. This trip was all about family. 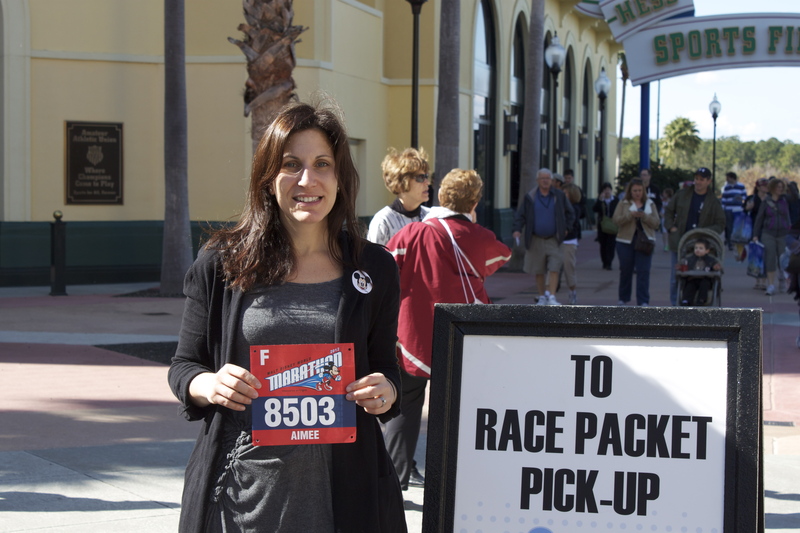 I chose to run the Disney Marathon because I wanted to make the experience fun for all of us. Training was truly a family affair. I spent many a weekend morning running for hours. I set out as soon as my husband returned home from work on my nights off to get the miles in. My husband and I coordinated schedules, sometimes we bantered about how I would fit in a double digit run on weekends he had to do side jobs, but we always found a way to compromise. My son grew to understand that I was going for my runs like it or not. He’s a bit of a Momma’s boy (I love it!) and would get whiny at times, but after a few months he would send me off with good lucks and high fives. 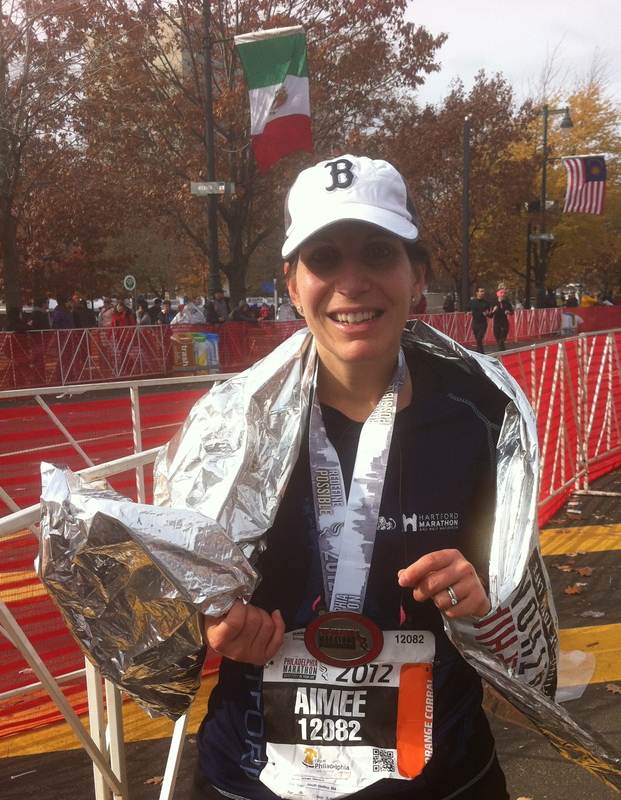 My husband and my son accompanied me to races, cheered me on and took care of me when I broke my rib so that I could realize this marathon dream. I wanted to show my son that we can do anything we set our mind to. I know he is still a bit too young to fully understand the significance of what I did, but I think he will someday. First off, you have the cutest little boy ever, no really! It is such a huge time commitment to train for a marathon. I think it’s wonderful that your family was so supportive, Aimee! And I love your determination to kick that sickness to the curb! I would have been a NERVOUS WRECK knowing that I was getting sick and about to run a marathon! Absolutely he will understand when he gets older! I love that you were able to compromise and fit in the long runs – and I am so proud of you!! Hi Aimee! I love that family picture! You should frame it. I remember taking my family along when I took my bar exams for law. 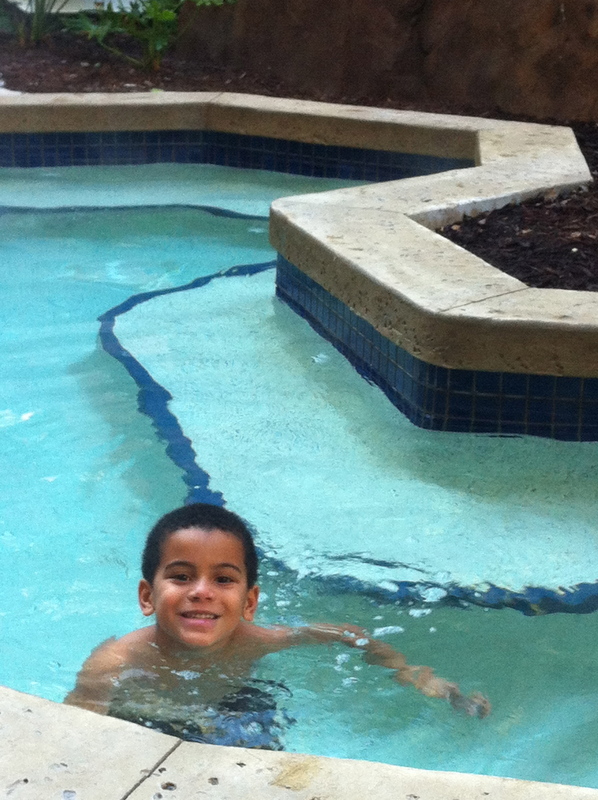 Somehow, it just seemed better to have my kids swimming in the hotel pool while I took the exam–since going through law school had been a family affair too. I’m sure you think of this marathon as a family affair in that same way. Wow!! I did not know you were sick for the race! But will does triumph over health if we want something bad enough. And you did. I’m very proud of you, and I love to see this story unravel on your blog. I think that is so cool that you took your family with you while you took your bar exams. It must have been really nice to have them there after a long day of exams. That is a huge accomplishment. I’m sure your family was incredibly proud of you. Hi Aimee! What a beautiful resort you stay in! I am totally jealous! Beautiful family too. I did not realize you were such a good runner! I would love to hear about your story do you have it posted somewhere? Please send it to me or link would love to read it! Thanks for visiting Sheri. I do talk more about my running story under the Disney Marathon tab at the top of the blog (https://amazinginmotion.wordpress.com/marathon-training/). I’m not sure that I am a good runner, but I am finally getting comfortable with calling myself a runner. I’m constantly learning and setting new goals. I have fun with it! Oh the resort was fantastic. I could have lived there! We were so grateful to our friends for inviting us to stay there. Wow – of all the bad times to come down with a bug! Sounds like you kicked it to the curb though…all I would have wanted to do was curl up in bed. Glad you and your family had fun too. 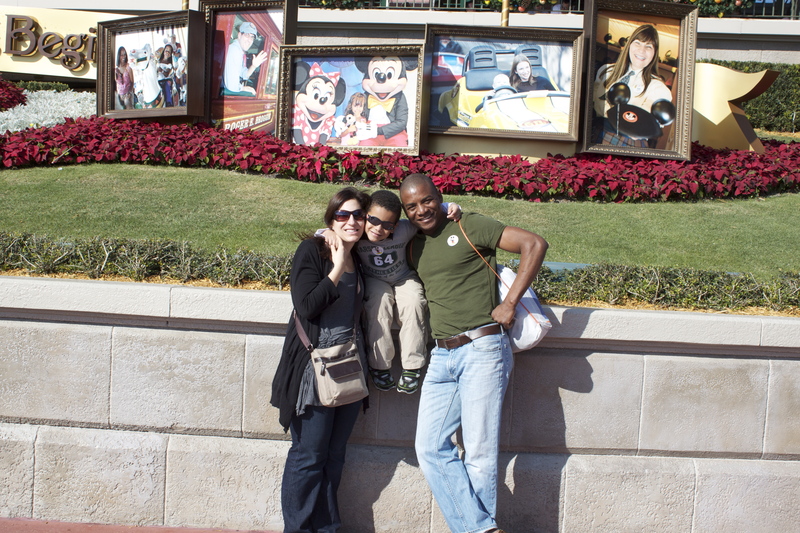 I completely agree that making things a family experience just adds to the good memories! I lucked out big time. There is a joke in my family that if something is going around I will get it…for a few hours. I’m so grateful it didn’t develop into something more serious. It was one of our best family vacations yet. I’m so glad that running has become a part of our travels.